Having recently watched this video on how MBCs work I decided against the ball-and-spring type I’d used in the past and picked up a GFB Atomic boost controller to try instead. The basic installation was the same as when I added an MBC to the Capp but the Wagon’s actuator also includes an extra outlet to the car’s factory boost control solenoid which must be blocked off as well (along with the outlet from the solenoid back into the pre-turbo inlet tract). 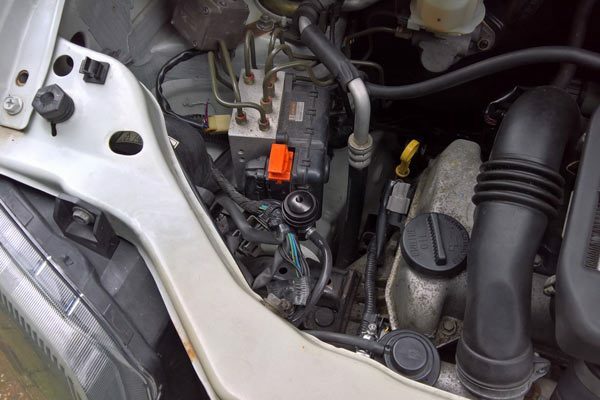 A neat trick here is to push ball bearings into the original hoses or use silicone hose and do the same – it looks a little neater and you can’t forget how the hoses were routed should you ever wish to return it to stock!